US equity market returns have outstripped other developed markets by around 7.5%pa over the past eight years, reflecting more rapid growth in earnings than other equity markets and the emergence of ultra-large capitalisation technology companies. There are two clear sectoral winners from these conditions: the exchanges themselves and “ancillary” services. The pricing of certain of the US-based “alt-managers” does not adequately reflect their very strong competitive positioning across all markets – we hold two of the four larger US managers. This piece profiles one “old” and two “bolder” selections with our reasoning. All prices are as at 31 October 2018 and the slide components are taken from the recent East 72 Holdings AGM presentation. Amongst the exchanges, CME Group rose 147% over five years, NASDAQ 145% and CBOE 133%. London Stock Exchange PLC rose over 200%, but mainly as a result of its ownership of FTSE Russell which provides benchmarking services; its main global competitor MSCI rose 269%. Other companies supplying platforms, and access to markets also saw their market values grow stratospherically over the period, few more so than Australia’s own HUB24 – up 730%. The remarkable thing is what was going on elsewhere. Despite being the creators of product, share prices of investment bankers varied dramatically, largely reflecting the depth of mire they found themselves in emerging from the GFC. Credit Suisse shares fell 50% over five years, weighed down by the workout of its “Strategic Resolution Unit”; conversely, Bank of America rose 95%. our most recent acquisition – Perpetual Limited (ASX: PPT). We had been short sellers of Perpetual for much of 2018 and reaped the rewards with the shares falling from a February 2018 high of close on $54 to recent lows just above $33. We closed our short below $40, but now figure PPT is worth a more interesting look from a long perspective. 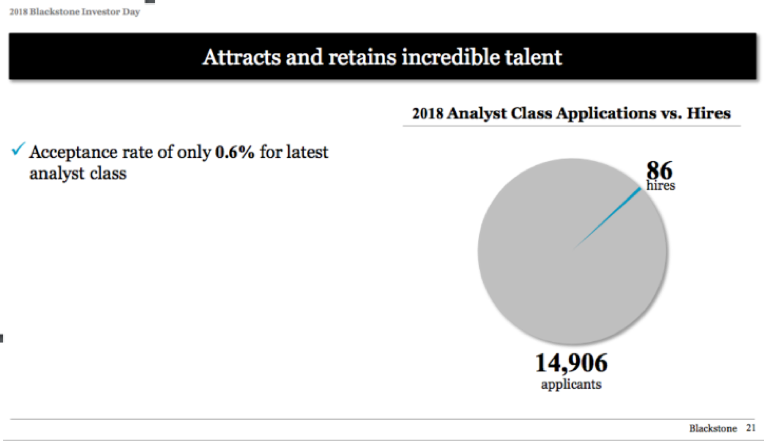 The attraction of Perpetual – despite ongoing outflows and modest performance of its core Australian equities management business – is best illustrated through “sum of the parts” analysis. Five years ago, Perpetual Investments made up 75% of pre-tax profit; thanks to organic and acquisition growth elsewhere, that proportion is down to 56% and will inevitably fall further. That’s good news, since it provides more options for PPT’s new management team to add shareholder value. The greater optionality is shown through a quick assessment: At recent prices, PPT is capitalised at about $1.6billion; it has over $300m of net cash and investments on balance sheet, and after capitalising centralised costs, the three businesses within PPT have a “business value” of around $1.4billion. From our previous table, that’s now in-line or lower than peer global businesses, and is equivalent to about 2.5% of equities (not cash funds) under management. We know there are net outflows, and funds managed will have fallen after October’s market dislocation. So unlike a year ago, PPT’s investment management business has a valuation rating aligned with its peers, ironically making strategic decisions easier. There’s plenty wrong at PPT; fund performance is modest, salaries, in our opinion, are egregious at board and executive level, and the share register is such that there is little activist capacity. But there is a new executive team with greater flexibility. Our favoured sector in asset management, which we have followed closely over the past three years, is the “alt-manager” sector. This had the bonus spin-off of the knowledge facilitating our profitable (but difficult to manage!) short position in Blue Sky Alternative Investments. Our holdings have enormous flexibility, and illustrate a broad thematic, but without having to pay outlandish valuations: they are two of the four large US “alt-managers”: Blackstone (NYSE: BX) and KKR (NYSE: KKR). The big four alt-managers (the other two are Apollo Global and Carlyle) have grown their fee paying assets under management by over 11.5%pa over the past five years – that’s better than Blackrock. They make money from multiple sources, and the analysis of their businesses is extraordinarily difficult, with income streams from base management fees, incentive fees (realised and unrealised), realised and unrealised carried interests in their funds which are revalued, and the split between the external “shareholder” investor and internal ”partner” investors. KKR has recently converted to a company to make part of the analysis more transparent – and hopefully become part of an index - but the other three remain limited partnerships. At 30 September 2018, the “Big 4” had US$832billion of fee paying assets under management (FPAUM), but over $1.1trillion of assets under management; Blackstone alone with US$342billion of FPAUM had US$95billion of “dry powder” – funds available for new investment in the right opportunities. As a consequence, they and their cohort see every opportunity across multiple asset classes, and are increasingly looking to lock up permanent capital. There is massive scope to grow in a global funds management market of ~ US$85trillion, they have strong track records, and attract the best people because of the work and remuneration. We are prepared to pay a little more for Blackstone, as the company is looking at a strong growth profile for fee related earnings up to around $2 a share equivalent by 2021. However, our larger position is in KKR where 70% of the share price is catered for by balance sheet investments, and so we are paying less than 8x fully taxed earnings for the business (and only 4.2% of fum) as well as over $50billion of dry powder – proportionally more than the other three. KKR and BX’s businesses are immensely scalable, with not only the usual funds management leverage for shareholders but also significant carry benefits. Their ability to access capital – the lifeblood of any money manager – is legendary; KKR and BX have strong Asian businesses which taps into where the strongest pro-rata funds growth will be. With the hefty partnership interest, there is a strong motivation to manage the partnership’s capital properly. Share buy-backs are a regular feature at the appropriate time. We have correspondingly larger exposures to BX and KKR than PPT. The reasoning is perhaps best explained by 1920’s NSW Premier Jack Lang: “always back self-interest, at least you know it’s trying”. No more so than in alt-management.